Diamond 4 : Now we improve an already excellent product with new beautiful and important connectors to RHODIUM that increase performance absolute. this new product is now as the real bust buy exclusive technology VRC 4 (4 times copper cooked ? no other manufacturer uses this unique machining), Spectacular Design designed by studio Ciobotaru Design. Connectors to RHODIUM, dielectric and isolator in XLPE. 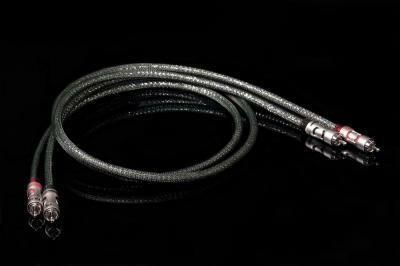 in the world of broadcast audio, this results in greater linearity of the musical signal ... We have raised significantly the level of quality of our new cables giving everyone now a superlative product in each context and design absolute as a jewel .